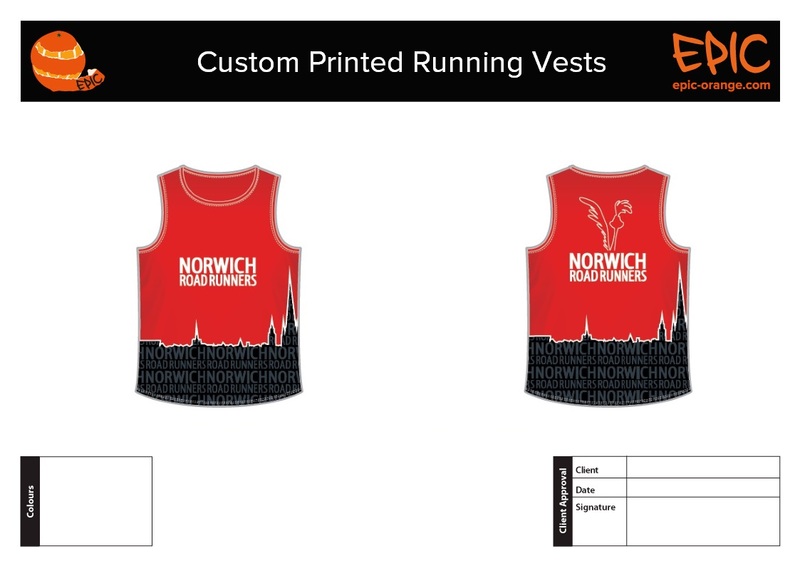 Our 'Epic Basic' custom run kit, specifically designed to provide quality materials and quality printing at budget level prices. We've done away with those open 'scratchy' polyester offerings used by our competitors. 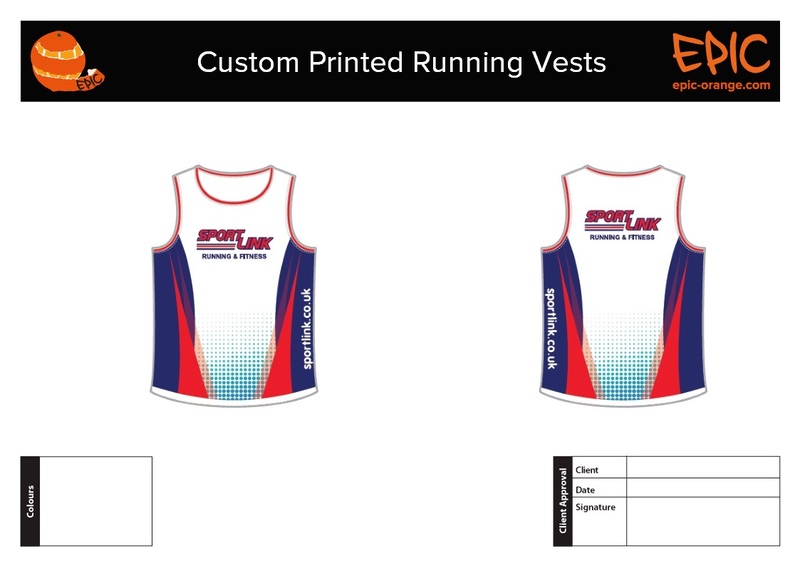 We offer FREE Design and a minimum run of just 10 garments (per garment type) with delivery in just 3-4 weeks. 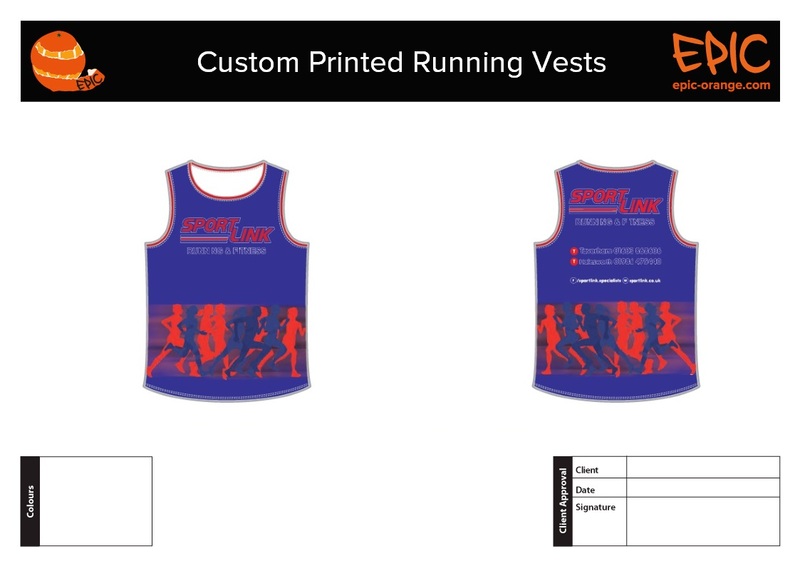 Alternatively our EpicPremium Custom Running Vests, are available with NO MINIMUM ORDER. Designed specifically for the UK market, using premium materials. 145gsm Smooth, technical polyster, bird eye knit. Provides quick drying, moisture management which is both breathable and anti-bacterial. Printed in high quality full colour sublimation using non fade Italian Inks. All garments are supplied individually bagged. 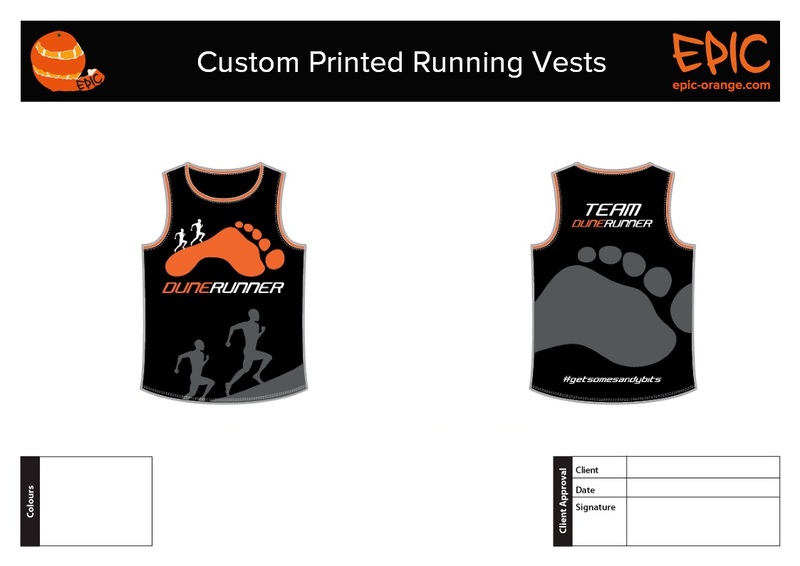 Minimum run 10 units - per garment kind. Free basic design included on order. Men's and Women's specific cuts, in particular with this item the Women's having a smaller arm opening. No corners cut, just true 'quality' garments at near budget prices! Typical lead time is 4 weeks from approval, backed by excellent customer service - contact us for pricing today! Epic Premium Custom Triathlon Kit Range covers Sprint & Endurance disciplines plus the very latest Tri Speedsuits & Short sleeved Tri Tops. Epic Premium Custom Cycle Kit Range covers a full range of Cycling kit plus the latest EURO PRO Aero Jerseys and Cycle Speedsuits. 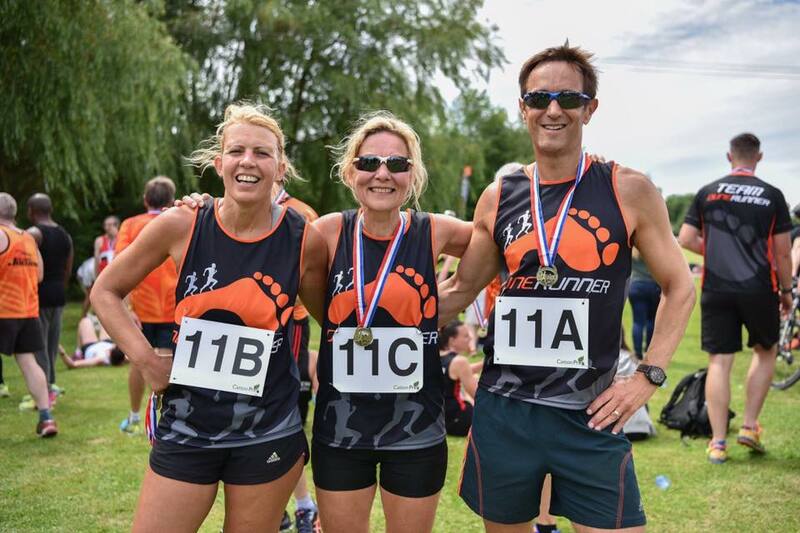 Superb quality Custom Run shirts and Run vests at budget level prices. Minimum 10 garment run with delivery in just 3-4 weeks! For when you need to find something in a hurry! For FREE prize giveaways, product updates.